There was a time when if you wanted to pull a trailer with your car you had to put a ball on your bumper - I mean on the actual bumper, not under the bumper. So you might even have to drill a hole in your bumper. Enough is Enough! I Refuse to Drill! After years of drilling someone finally said, "No way am I drilling a freakin' hole in my bumper! Lemme see... I'll put a square tube under my bumper into which I will temporarily as-needed insert a bar on which the hitch ball will be attached..." (or something like that). 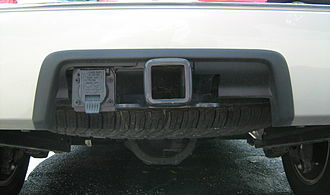 And that's how the hitch receiver was born - It is the square hole you see underneath the bumpers of so many vehicles. 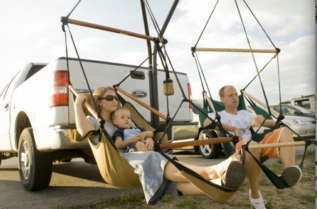 Then the big question: Is it just for towing or would it be wrong to use it for fun? Right or wrong, it soon became obvious that the now ubiquitous hitch receiver was just too tempting to be used only for towing a trailer (boring...). Thus the explosion of third and fourth party applications. 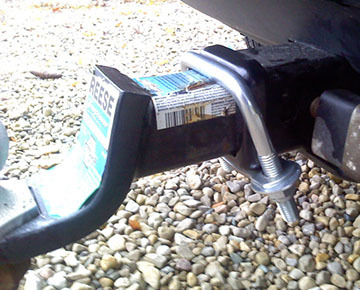 People began using this thing (the hitch receiver) for all manner of wonderful accessories: Cargo carriers, bike carriers, motorcycle carriers, barbeque grills, beer coolers, chairs, and of course pole dancing poles. This was all awesome but there was one small problem: All these accessories wobbled! "This Wobbling Must be Stopped!" Now here's the real eureka moment: The MotoTote Zero-Wobble Bolt. So small and elegant in it's simplicity yet so effective and, after you see it work - so obvious! Why didn't I think of that? Oh wait - I did. 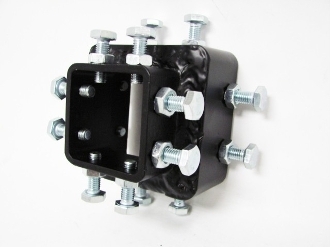 This bolt simply clamps the square tube of the MotoTote to the inside wall of the hitch receiver. Boom - Done! And the best part is that we don't charge extra for it! It comes standard with all MotoTote motorcycle carriers. Why? Because if your are happy, we are happy! The way it works is so simple that it's hard to explain without seeing it. The graphic below that MIGHT help but maybe not so for more detailed information refer to the instructions here. 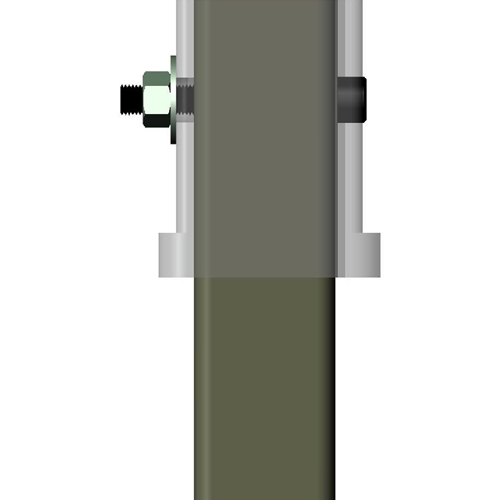 Q: Why is it called the Zero-Wobble Bolt? A: Because if it's installed correctly there will be no wobble (play) at the connection to the hitch receiver. Q: Isn't that a cheesy name? 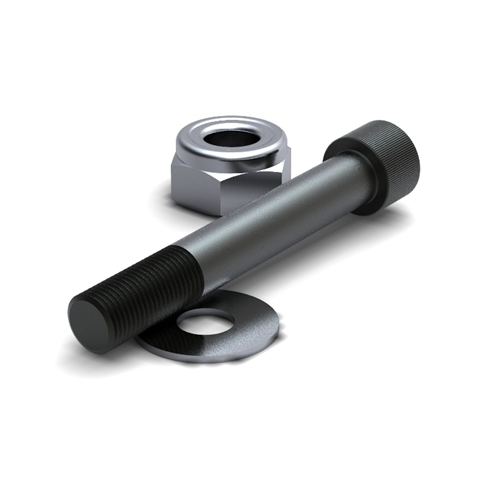 Q: So my MotoTote will be rock solid once the bolt is installed? A: No. The MotoTote is made of steel which naturally flexes. So even though the connection is tight the MotoTote will move a little due to this flexing of the steel. Q: So how can I know I've installed it correctly? A: First of all look at the instructions. 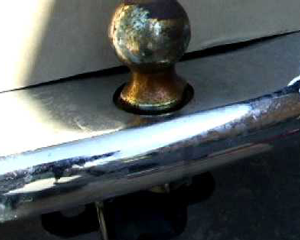 Then, after you've tightened the bolt, move the end of the MotoTote and make sure there is not movement at the hitch.